Sharing our hearing loss stories with each other is a powerful thing. On HearingLikeMe.com, people with or affected by hearing loss grow, learn and advocate together through their personal stories. We know that a person’s hearing journey doesn’t end when they step outside of their audiologist’s office. They may leave with even more questions than they came in with. But where can they turn to between visits? The “Deaf” community is traditionally a very strong and proactive community, who take pride in their preferred communication method of sign language and drive to achieve anything without the sense of hearing. But we see a gap of those living with hearing loss and using hearing technology – such as hearing aids or cochlear implants – who aren’t sure what community they belong to. They aren’t completely “Deaf,” but they face communication challenges, discrimination and lack of support, as they are often immersed socially in the “hearing” community. 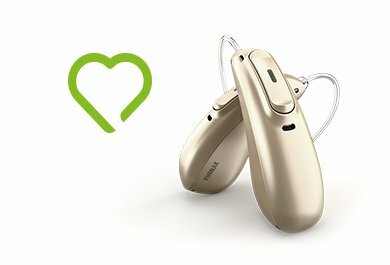 Phonak is activating the community of those new and familiar to hearing loss through the community website www.HearingLikeMe.com and its team of “hEARos”. Our mission is to unite people across all levels of hearing loss and break down stigmas. HearingLikeMe.com is staffed by a team of freelance writers – called “hEARos” – who wear hearing instruments themselves, or have children who wear them. The writers share their personal hearing loss stories and photos of their technology to build a community with others in similar hearing situations, as well as those new to hearing loss who are looking for support. They also show off their #coolhearingaids on Instagram, to show the broader public that hearing technology is no longer the typical “beige bananas” that many people traditionally think of. Now, hearing aids come in bright colors in all shapes and sizes, which users decorate with stickers, accessories with charms and sparkly ear molds. The openness of these “hEARos” is inspiring a new generation of those affected by hearing loss, as new-moms of babies with hearing loss discover their blogs and images on HearingLikeMe.com or Phonak’s social media channels. The stories give them peace of mind and information as they begin their brand-new hearing journey with their children. Now she openly shares her children’s stories, including a video of her little girl hearing for the first time recently went viral on Facebook. We’re finally seeing more people talk about their hearing loss and breaking down those stigmas, thanks in large part to the HearingLikeMe.com community. That’s what we’re trying to accomplish – tearing down barriers and helping everyone reconnect to the beauty of sound. Are your patients looking for extra information from other end-users, or a community they can discuss their hearing loss journey with? Encourage them to visit HearingLikeME.com on social media or the forum! Dear Sanusi, Thank you for your inquiry. I will contact someone at Phonak who is familiar with services in Lagos, Nigeria and ask that you be contacted directly. Best wishes from the Phonak Audiology Blog team. Jill was the former social media community manager at Sonova and managing editor of Hearing Like Me. She has a background in journalism, and passion for storytelling and connecting with people. 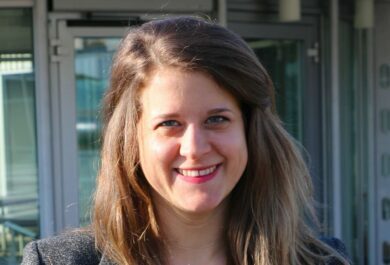 When she's not immersing herself in the hearing loss community, she enjoys traveling, doing yoga and learning Swiss German.